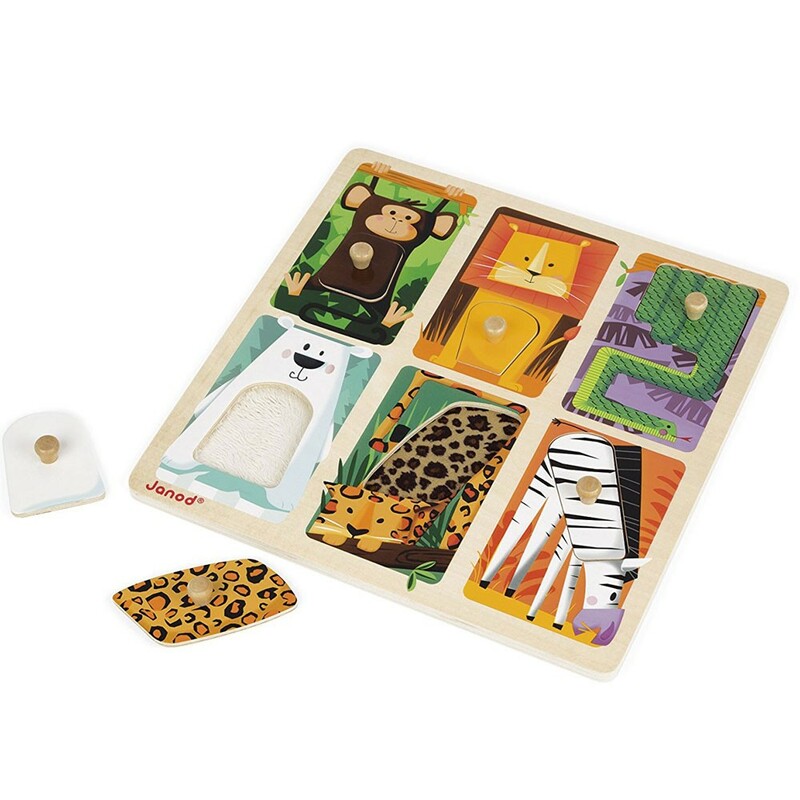 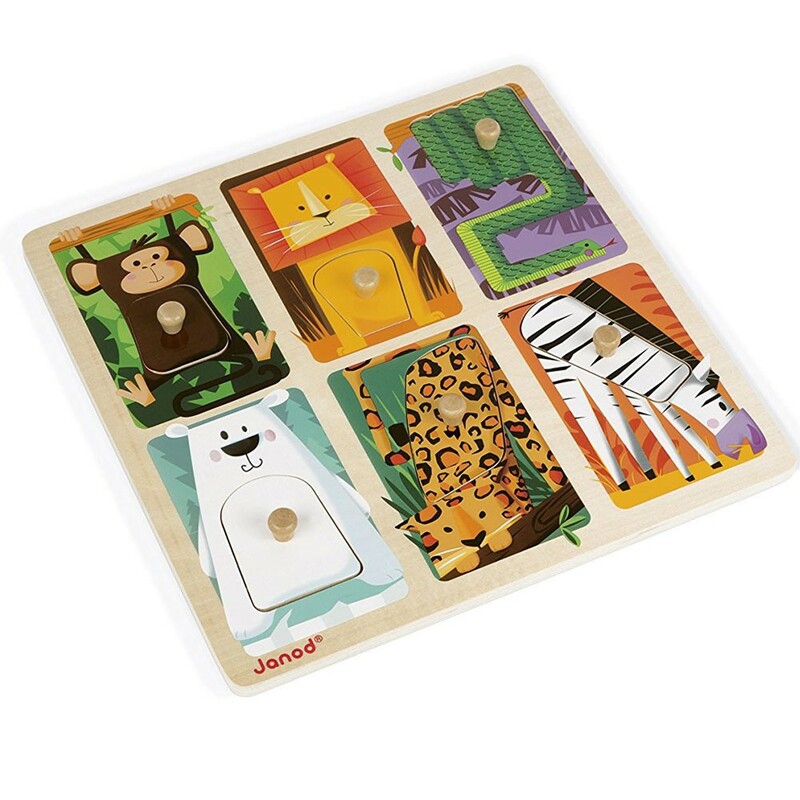 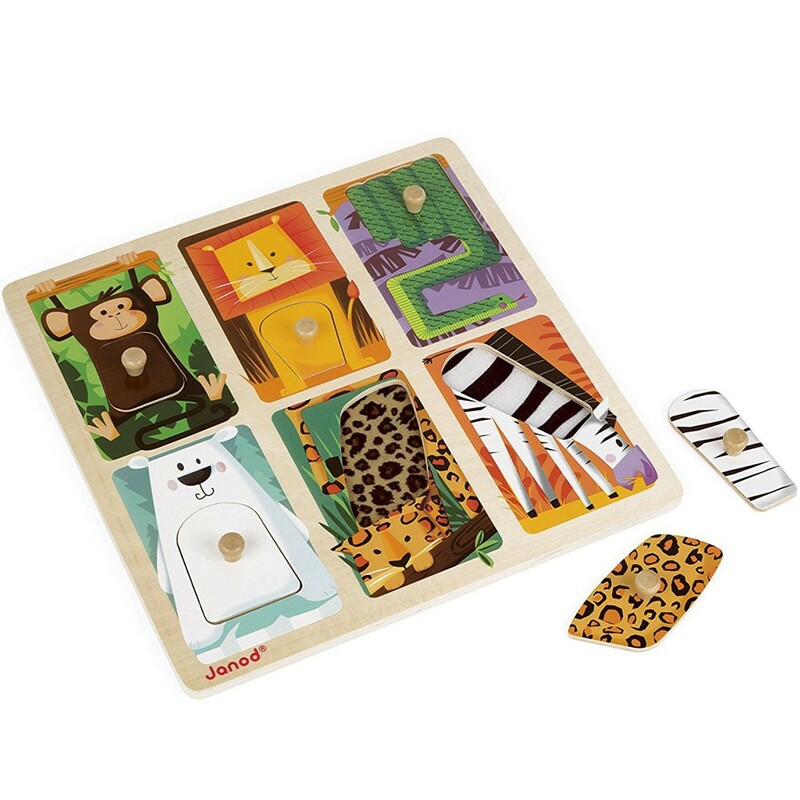 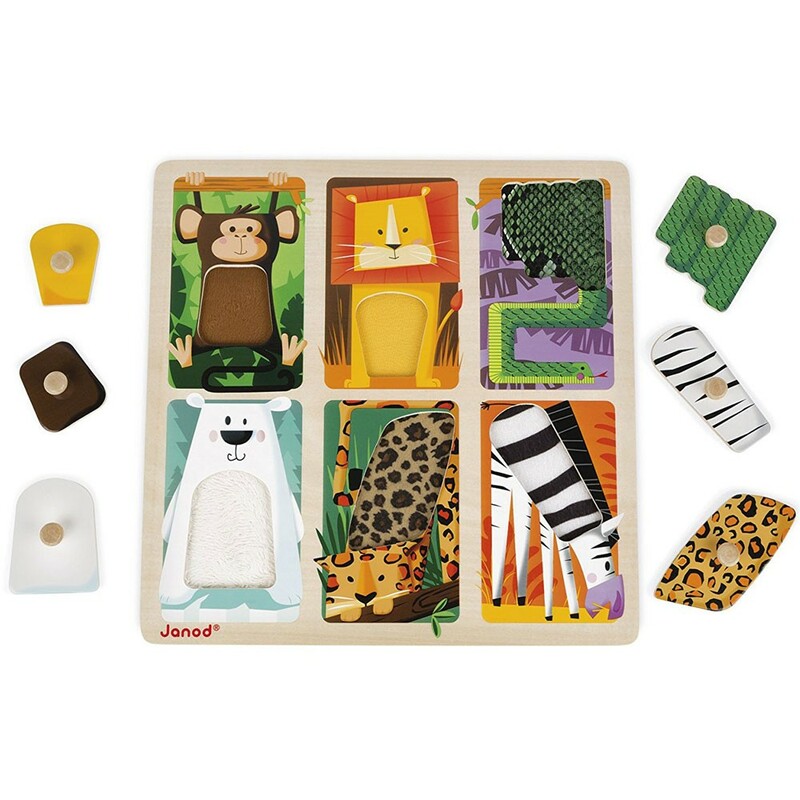 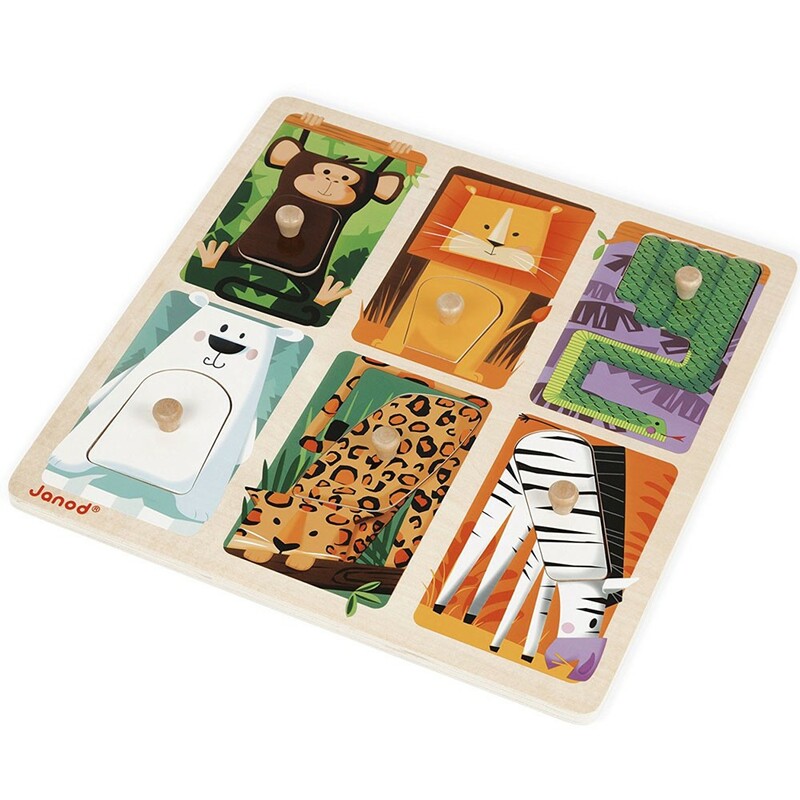 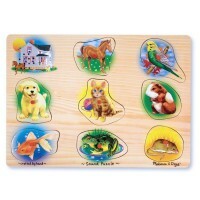 With Zoo Animals Tactile Peg Puzzle by Janod, your toddler can pet and feel 6 wild animals! 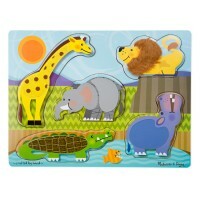 You don't have to go Africa or Arctica to pet the wild animals! 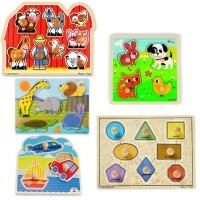 With Zoo Animals 6 pc Touch & Feel Peg Puzzle by Janod, your toddler can stroke a polar bear and pet a lion that are on a wooden puzzle! 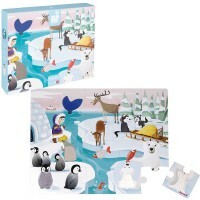 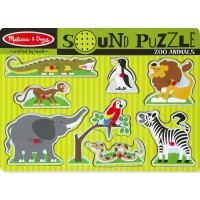 Put the correct animal puzzle pieces into their allotted spots and feel the different textures on the puzzle board. 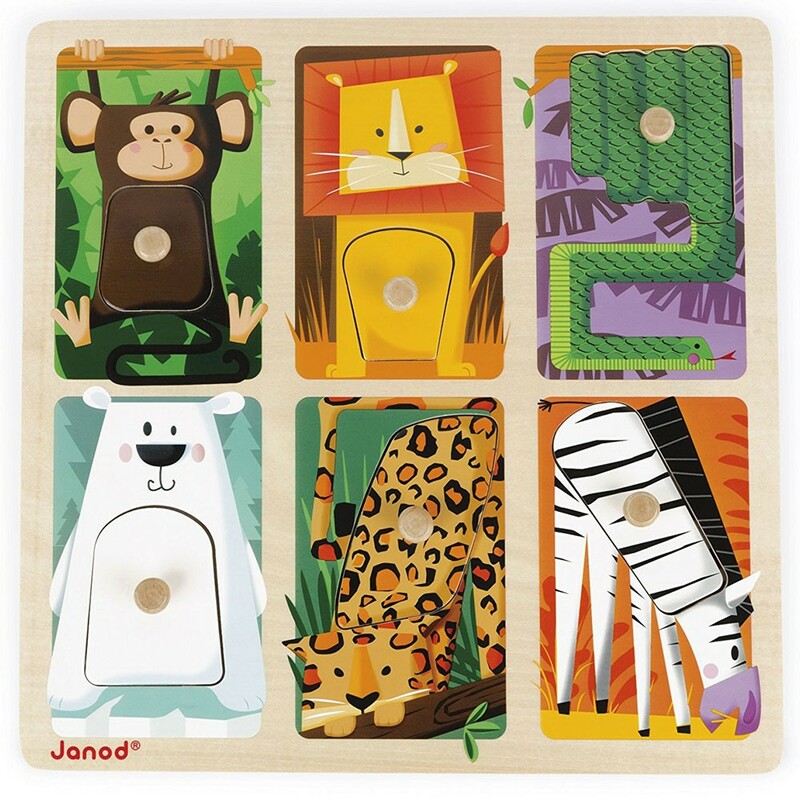 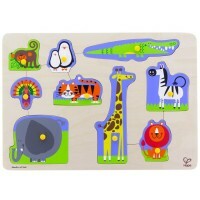 There are 6 wild animals on this touch & feel puzzle: monkey, lion, snake, polar bear, leopard, zebra. 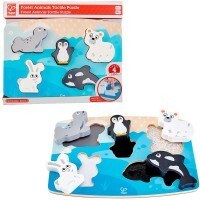 Learn to stimulate your sense of touch and work on hand-eye development with this quality first tactile puzzle. 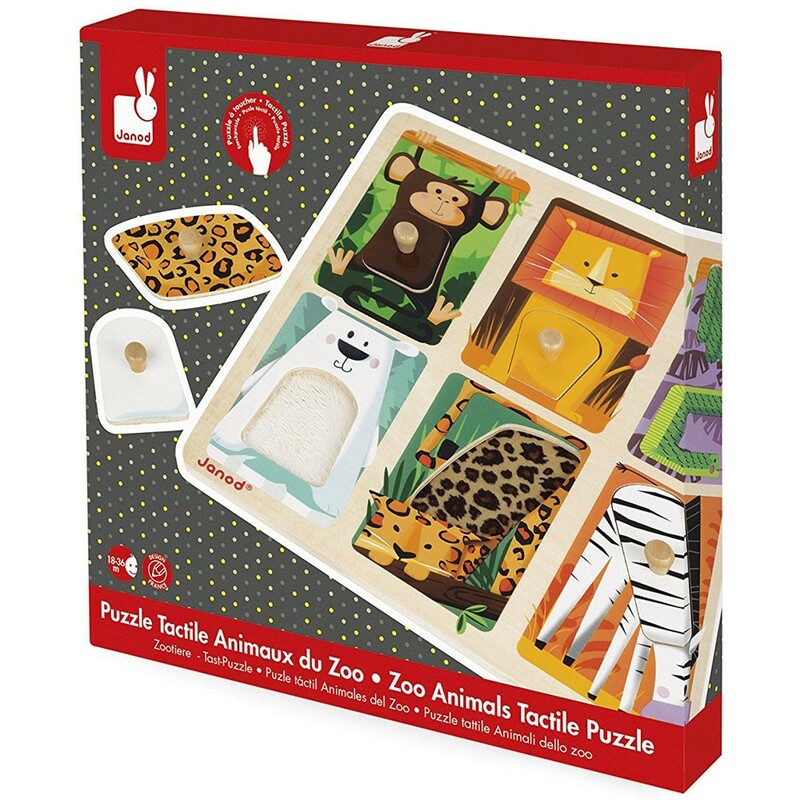 From Educational Toys Planet, this tactile puzzle is a fun way to teach your young one about animals! 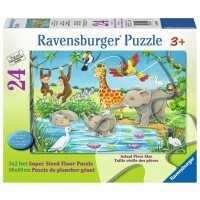 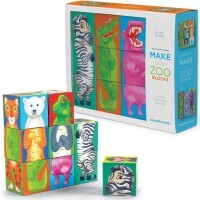 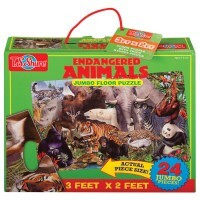 Dimensions of package 1.57" x 12.6" x 1.97"
Write your own review of Zoo Animals 6 pc Touch & Feel Peg Puzzle.